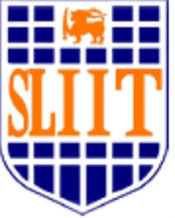 Sri Lanka Institute of Information Technology is a university in Malabe, Sri Lanka. Sri Lanka ranking #10 in the Sri Lanka top universities. It was established in 1999. It is a Public autonomous University. The President of this university Prof S. Karunaratne.The total students studying in this university are 4,000. University of Jaffna is a university in Jaffna, Sri Lanka. Sri Lanka ranking #9 in the Sri Lanka top universities. It’s motto is “Discernment is Wisdom’)”. It was established in 1974. It is a Public university. The President of this university N. Shanmugalingam.The total students studying in this university is are 5,800. Sabaragamuwa University is a university in Balangoda, Ratnapura, Sri Lanka. Sri Lanka ranking #8 in the Sri Lanka top universities. It’s motto is “Naththi Pagnna Sama Aabha (Pali)”. It was established in 1991. It is a Public university. The President of this university Prof. Ven. Kamburugamuwe Vajira Thero.The total students studying in this university is are 2500. University of Kelaniya is a university in Kelaniya, Sri Lanka. Sri Lanka ranking #7 in the Sri Lanka top universities. It was established in 1959.It is a Public university.The president of this university is Prof. Sarath Amunugama, JP. University of Sri Jayewardenepura is a university in Nugegoda, Sri Lanka. Sri Lanka ranking #6 in the Sri Lanka top universities. It’s motto is “Vijja Uppattam Setta (among all that arise, knowledge is the greatest)”.It was established in 1959 (as Vidyodaya University). It is a Public university.The president of this university is Prof. Ven. Bellanvila Vimalarathana Thero. Open University of Sri Lanka is a university in Nawala, Nugegoda, Sri Lanka. Sri Lanka ranking #5 in the Sri Lanka top universities. It was established in June 1978. It is a Public university. The president of this university is Sam Wijesinghe. The Vice-Chancellor of Open University of Sri Lanka Prof. Upali Vidanapathirana.The total students studying in this university are 24,697. University of Ruhuna is a university in Matara & Galle, Sri Lanka. Sri Lanka ranking #4 in the Sri Lanka top universities. It’s motto is “Paññaya Narana Ratana”.It was established in 1978″.It is a Public university.The president of this university is Prof. Susirith Mendis.The total students studying in this university are 6,366. University of Moratuwa is a university in Katubedda, Moratuwa, Sri Lanka. Sri Lanka ranking #3 in the Sri Lanka top universities. It’s motto is (Vidyaiwa Sarwadhanam Sanskrit, “Wisdom is all Wealth”).It was established in 1972.It is a Public university.The president of this university is Dr. Roland Silva.The total students studying in this university are 4,500. University of Colombo is a university in Colombo, Sri Lanka. Sri Lanka ranking #2 in the Sri Lanka top universities. It’s motto is “Wisdom Shines Forth Everywhere”.It was established in 1921.It is a Public university.The president of this university is Most Rev Dr Oswald Gomis.The total students studying in this university are 11,604. This was the complete list according to the Top 10 Universities in Sri Lanka (leading universities in Sri Lanka).